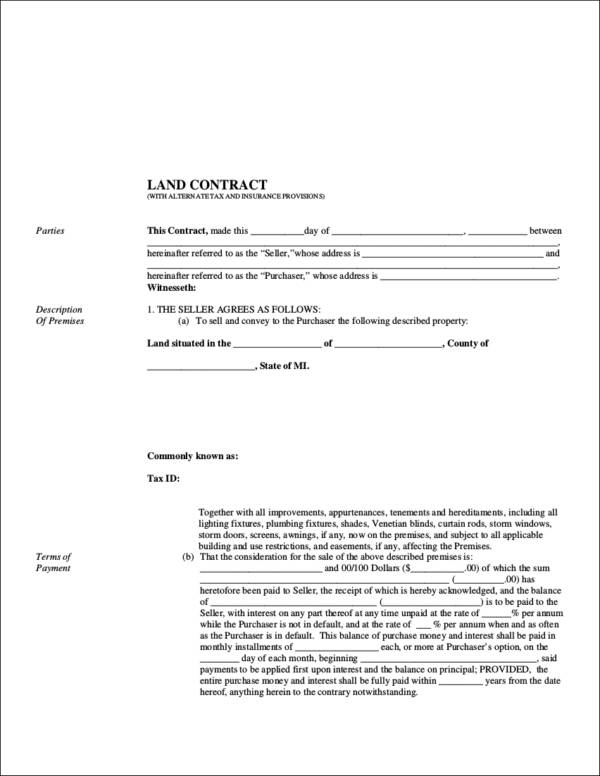 A land contract is a formal and official document that provides information about the scopes and limitations of a transaction consisting the selling of a land property. It contains all the details that should be known both by the current landowner and the property buyer. There may also be the presence of a third party, who is a land broker. 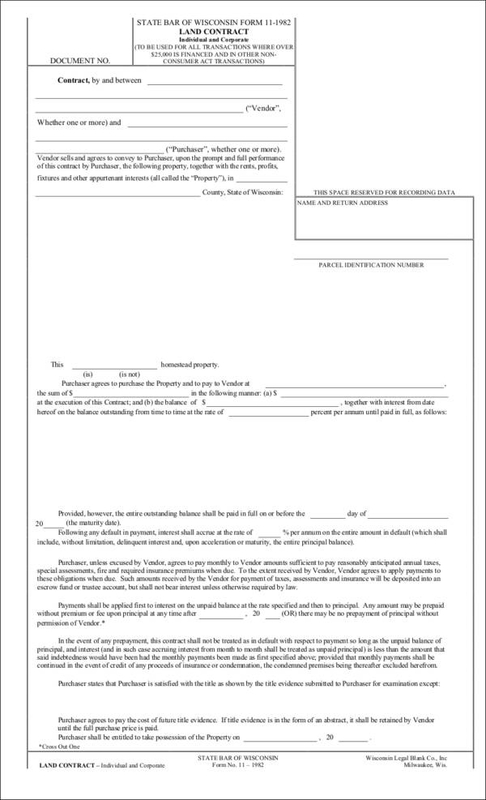 There are different specifications that can occur within this kind of contract, which is why it is highly suggested for you to use templates when creating this document. If you need samples and templates, we have a selection of various land contracts available for you to download in this article. 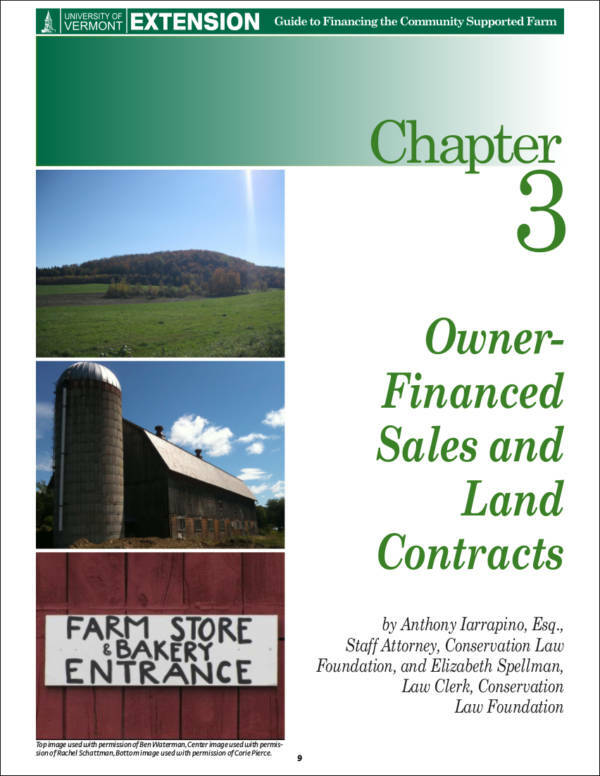 If you want to know more information about land contracts, read more about it below. Title – since you are creating a formal document, any contract such as an employment contract, house rent contract, or any other type of contract should contain a title to indicate the type of the document that you are creating. 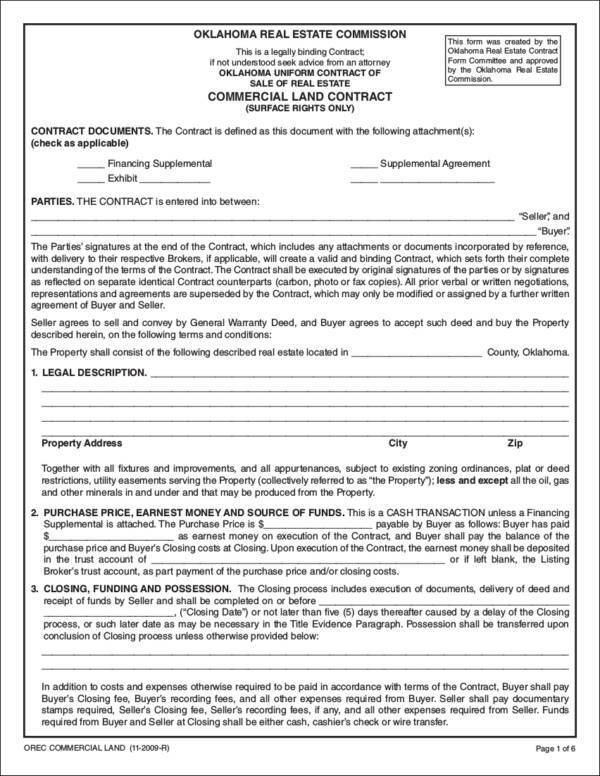 In this case, since you are creating a land contract, the words Land Contract should be present in the document. Name/s of the parties – as defined, a contract is an agreement between two parties. 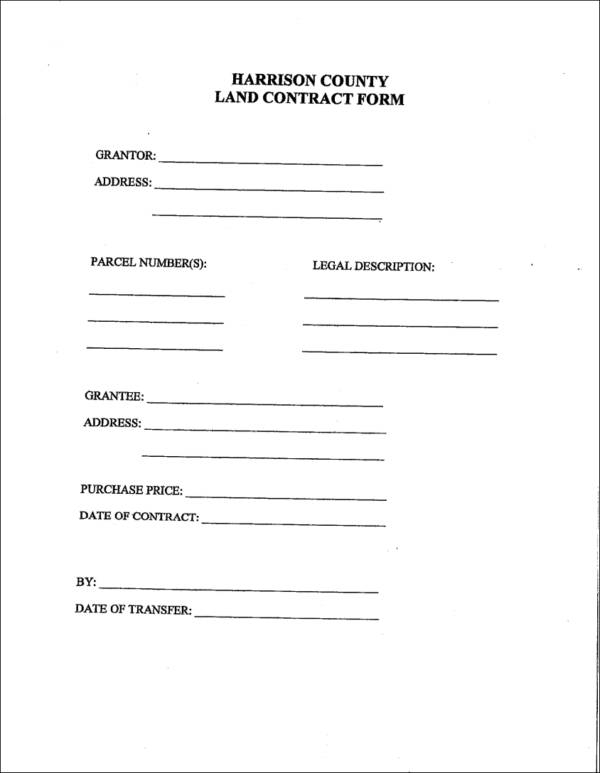 A land contract should include the names of both the buyer and the seller of the land. It is important that you indicate which party is the seller and which one is the buyer. Description of the property – in a land contract, a detailed description of the land should be clearly indicated in the contract that you are creating. This includes the address or location of the said property, its size, and other essential information about the property or land. Ownership of the personal property – if a particular land or property has a house, this can also contain personal items of the seller. 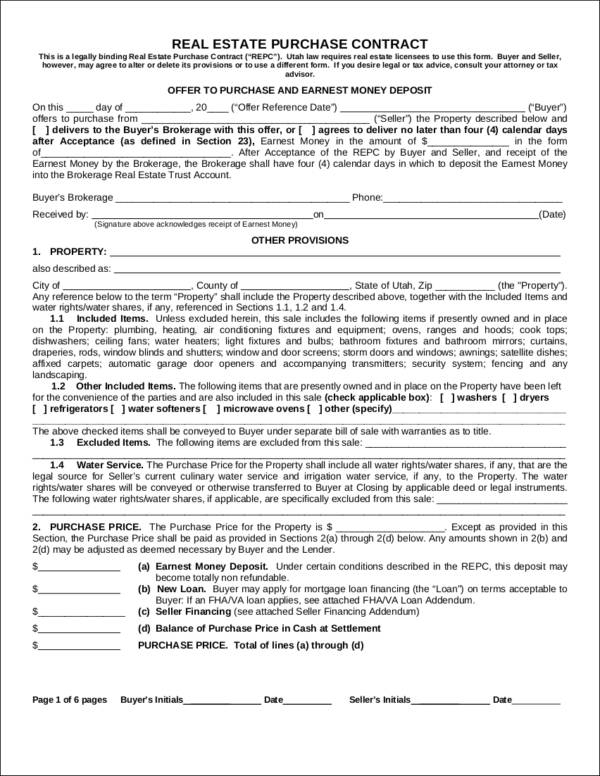 The ownership of the personal items should be specified in the document should the seller include them in the transaction. Terms and conditions – in a land contract, the terms and conditions refer to the scope and limitations of the land contract. It outlines the rights and responsibilities of both the seller and the buyer. Both parties can refer to this part of the contract should there be any misunderstanding that will occur. This will help both parties understand what they should do or should not do. Payment terms – in order to acquire a property or land, payment is provided by the buyer to the seller. 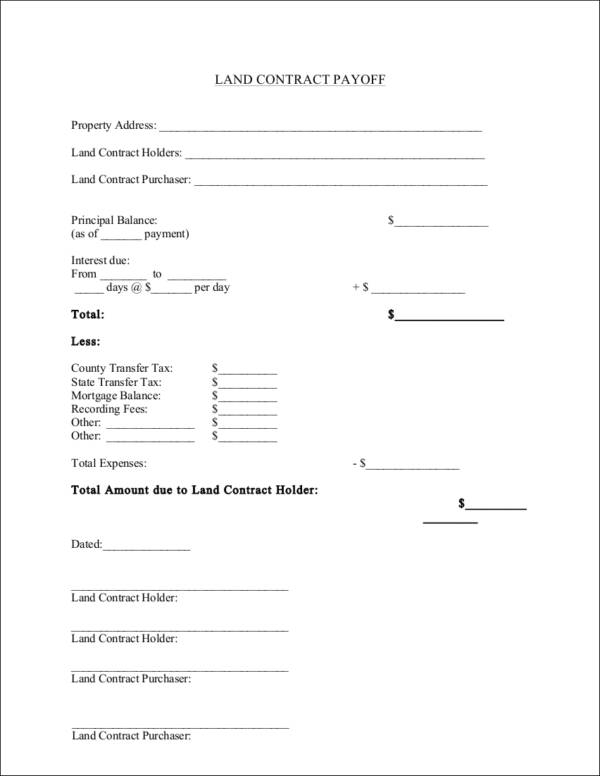 A land contract should specify the payment terms that are agreed upon by both parties. This includes the payment schedules and the amount that the buyer needs to pay the seller. Ownership of the land – the land contract should also include details about the ownership of the land or property. Usually, the buyer maintains ownership of the land until the buyer has paid fully the required amount to acquire the land. Signature – since a contract is a formal document, the signatures of both the seller and the buyer should be present in the land contract. This is to symbolize that both parties have agreed upon the information written in the contract. By signing the contract, both parties understand that there are legal consequences should they breach the terms and conditions of the contract. 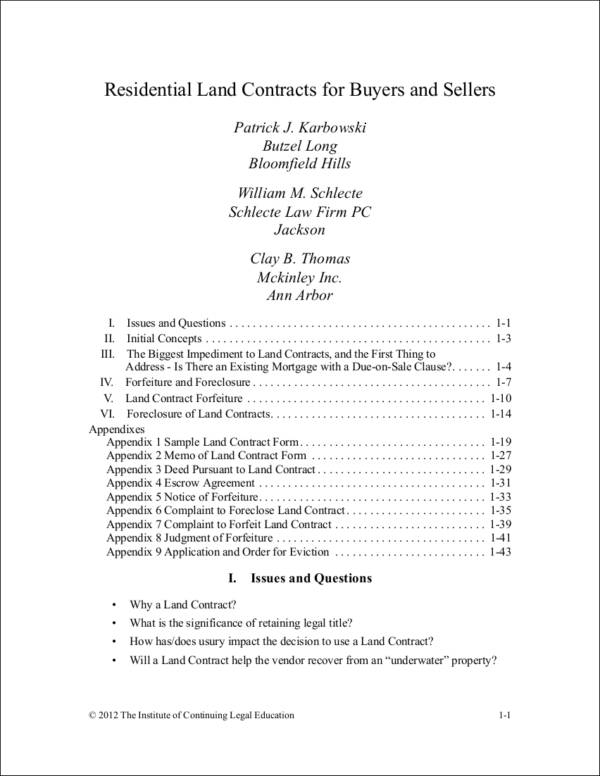 Why Is a Land Contract Important? A land contract is important because it assures that the seller is well aware of his/her minimum responsibilities to the buyer of the property. A land contract provides all the specifications of the land to be bought, which includes the property description and all other legal transactions in which the land is involved in. A land contract lays the information that should be known by the buyer about the property that he/she will acquire. This allows misunderstandings about the acquisition to be lessened or not occur. Land contracts provide clarity to the monetary value or any other exchange of resources that is bound in legal terms. It helps both the buyer and the seller to be aware of the entirety of the land contract scope. Land contracts specify all the details that have been approved by both parties. 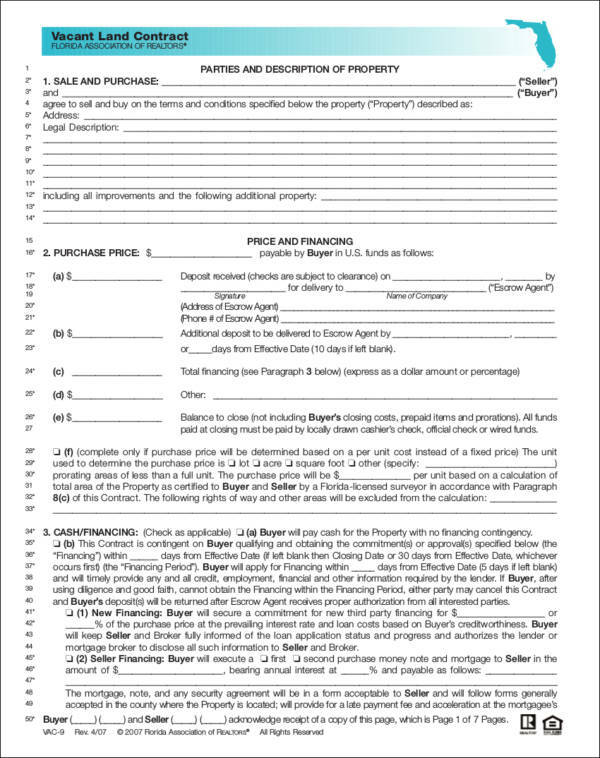 This is essential especially if the document has already been signed by the buyer and the seller. However, there will be times that other or outside entities will be involved in the transaction as the merger of the land selling. 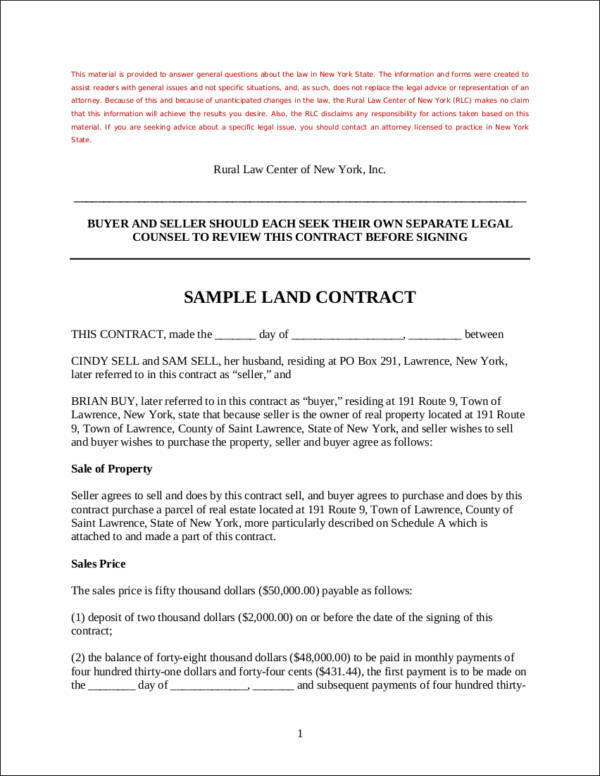 A land contract outlines the rights and responsibilities of both the seller and the buyer during the transaction of a specific land or property. This will ensure a smooth transaction between two parties. A land contract ensures that both the seller and the buyer of the property or land is protected in case one party breaches the terms and conditions stated in the contract. This will help them settle any dispute or misunderstanding. Make sure that the information written in a land contract is based on legal and real measurements and other information that are factual. This is to assure that the land contract provides no misleading details that can affect the trust of the entities within the transaction. It is essential for you to have a list of the definition of terms for the words and information written in a land contract to be easily understood by the seller, the buyer, and other legal entities who are bound in the legal document. It is highly suggested to use a template as your guide when creating a land contract so you can be well aware of how professional formatting of the content and layout of the specified contract should be done. Be particular with the description of the minimum responsibilities of the land seller, especially in terms of land taxes and other related transactions that can affect the land acquisition and other information presented in the land contract. Provide an in-depth data release that should contain the date that the land contract has been created and the date in which the document has been signed as well. Think of the font size and the font style that you will use as it can greatly affect the visuals of a land contract. Make sure to veer away from fancy fonts and stick to Calibri or Arial as they are the most used fonts in creating such documents. Your font size should be between 10 to 12 or it may also vary with the requirements of the legal entity who take care of the information presented in the document. What is important is to maintain the readability of the data within the land contract. Spaces between paragraphs, subtitles, and discussions should also be maintained to assure cohesion and a smooth flow of the document’s content when read by the entities to whom the land contract is for. Moreso, maintain the fonts that you will use for headings, subtitles, and contract discussion. It is important for you to have a legal margin that can range from 0.5 to 2. Again, this will vary on the requirements of the location where the land is at. Provide spaces at the end of the document for the signatures of all the entities present in the transactions. However, there may also come a time where all the pages should be signed to ensure that all the information within the pages is agreed upon by the signatories. Additionally, if you need samples and templates of other types of contracts such as a photography contract template, work contract template, or a business contract template, you can download from the samples available on this site.